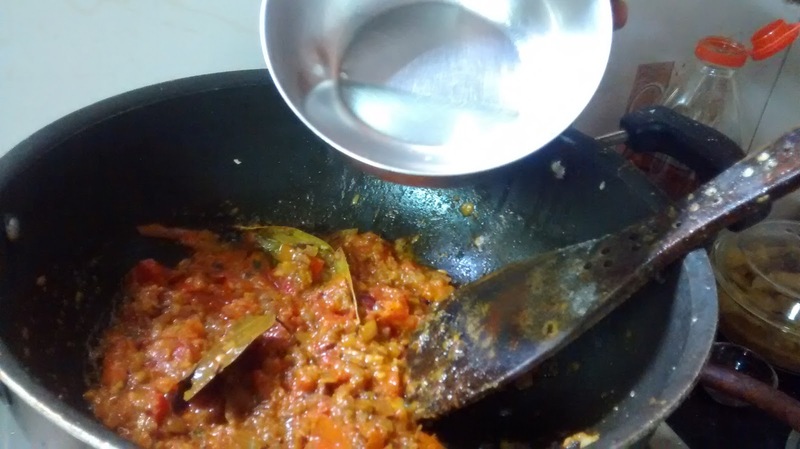 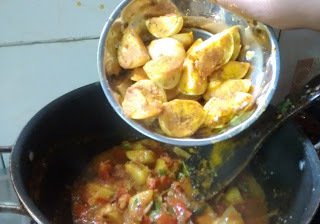 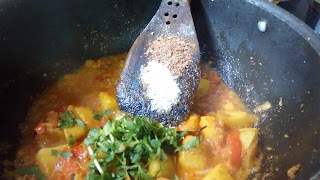 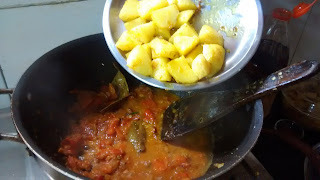 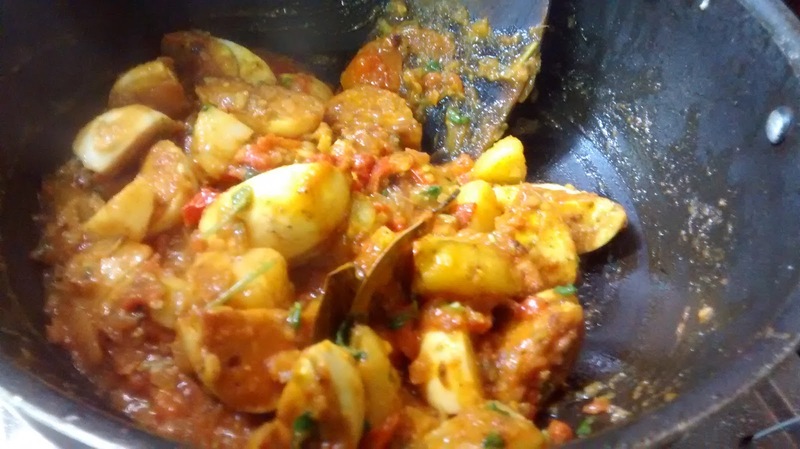 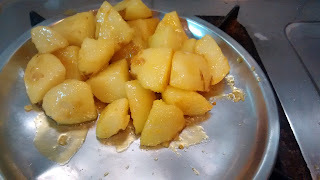 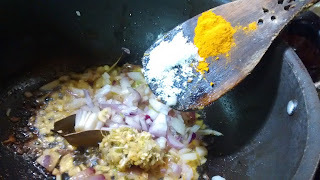 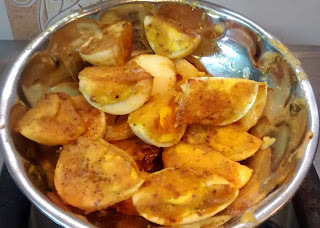 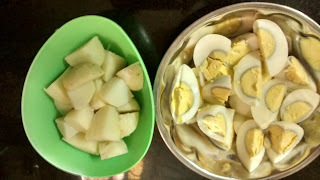 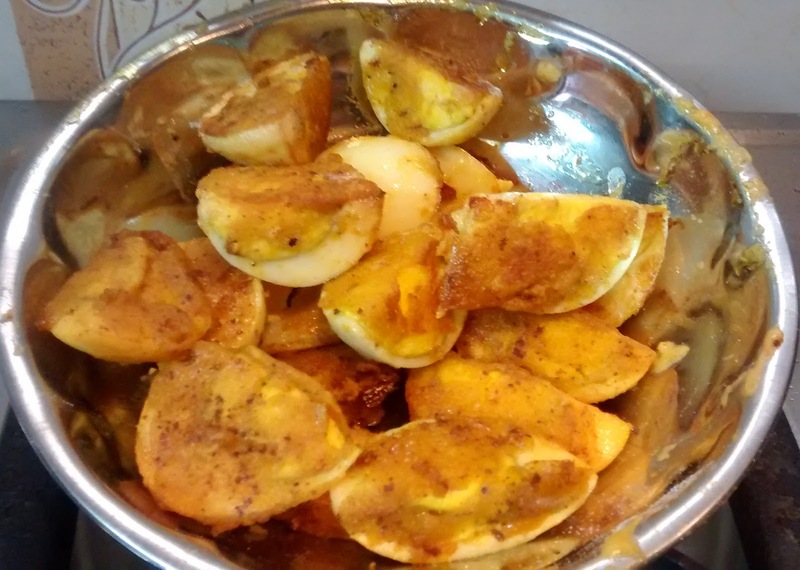 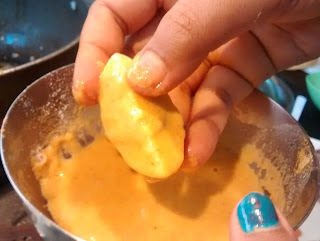 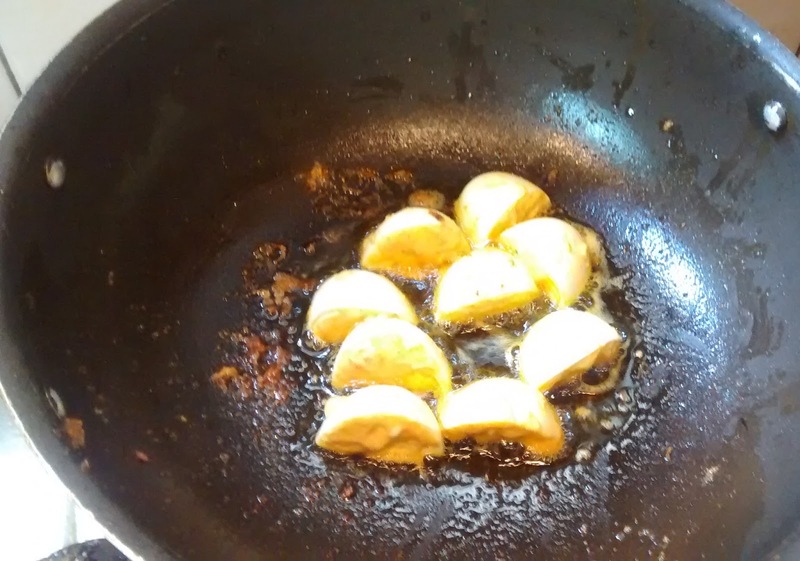 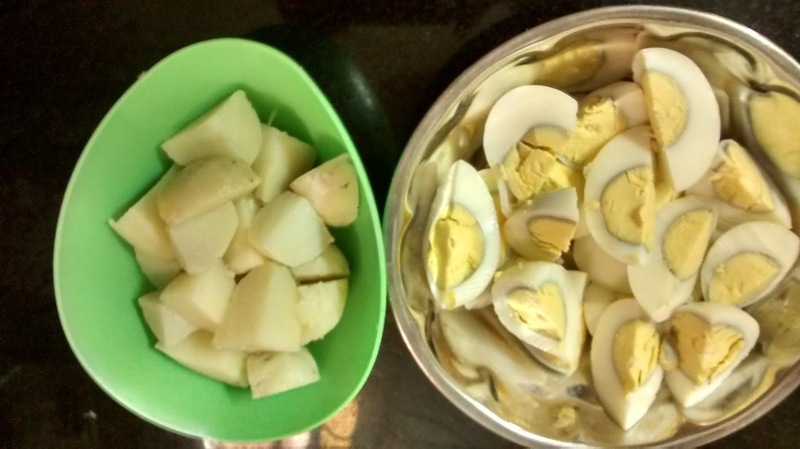 Make a very thick batter with the ingredients for the batter,using very little water.Dip the pieces if egg in the batter and fry the pieces on the two faces where the yolk is exposed.This helps in sealing the yolk in gravy. 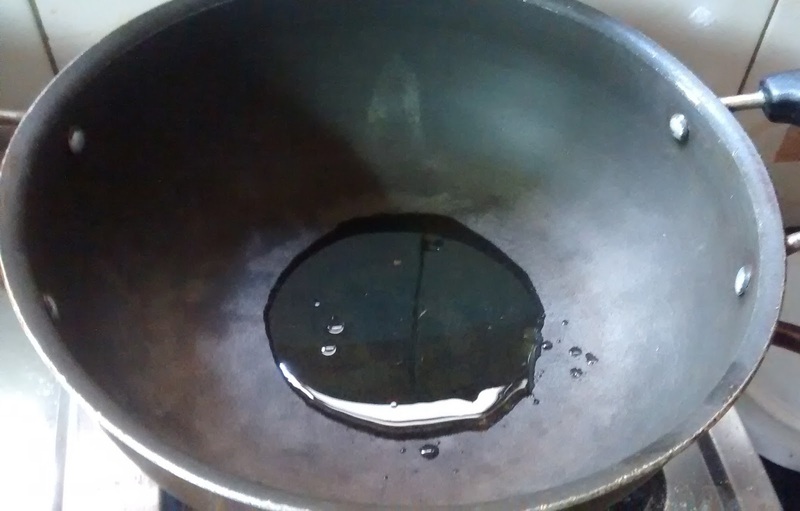 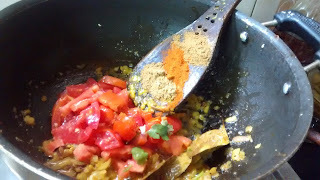 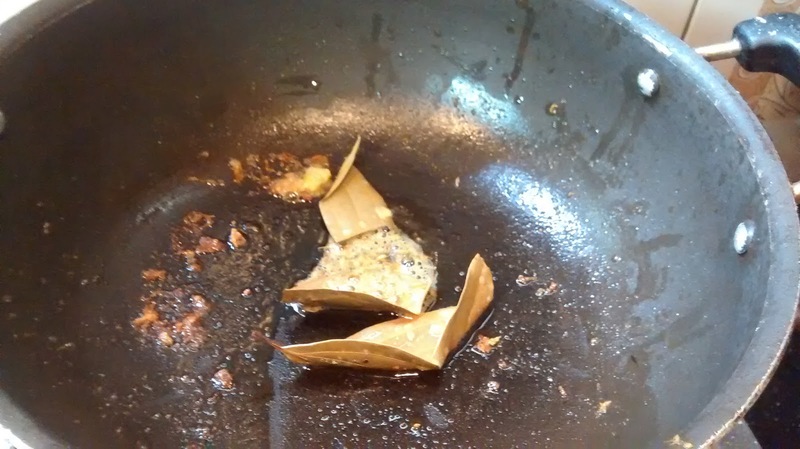 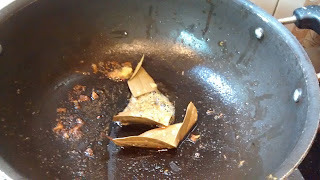 In the same pan (add oil if required) add the bay leaves and cumin once the oil is hot. 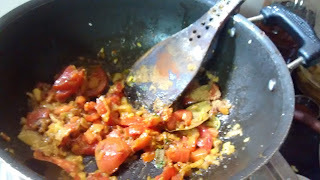 Lastly add the fried eggs. 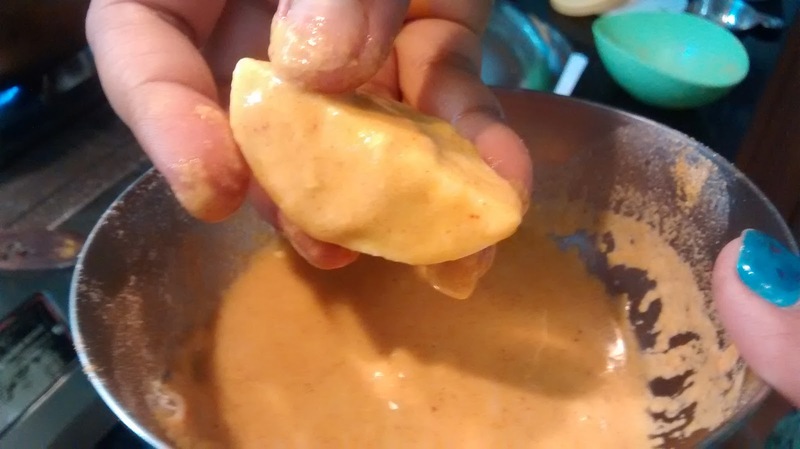 Do not mix for too long,the eggs might break. 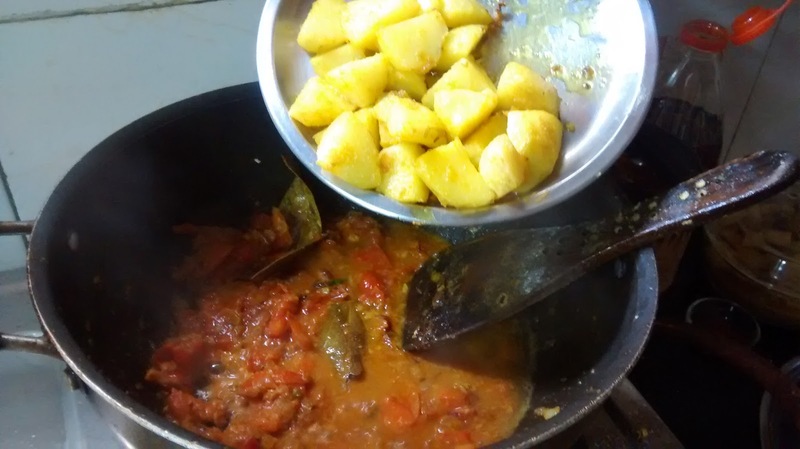 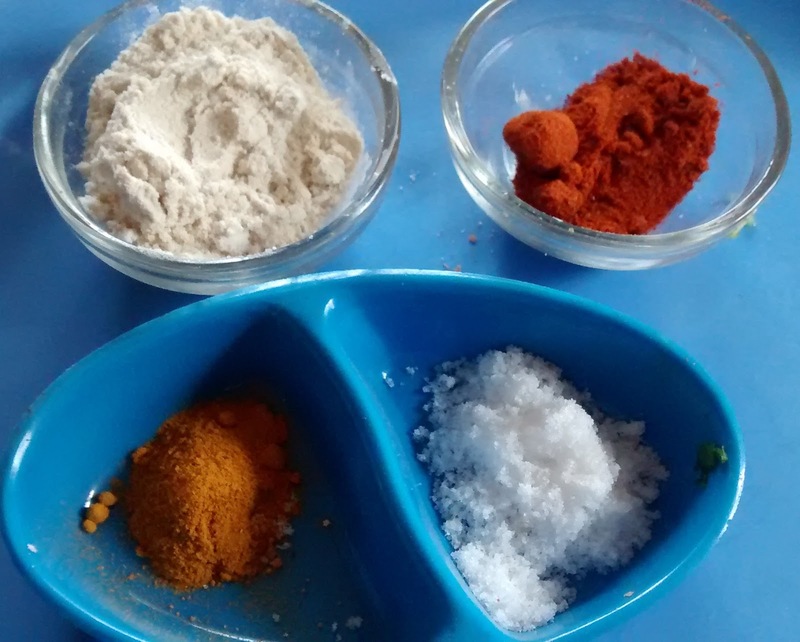 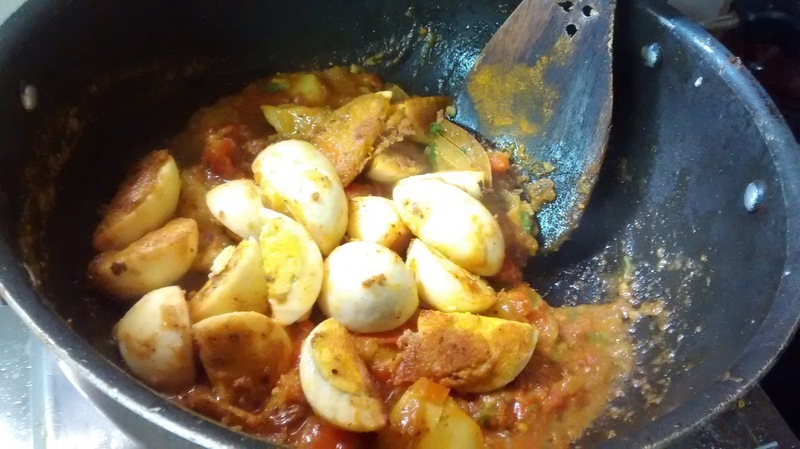 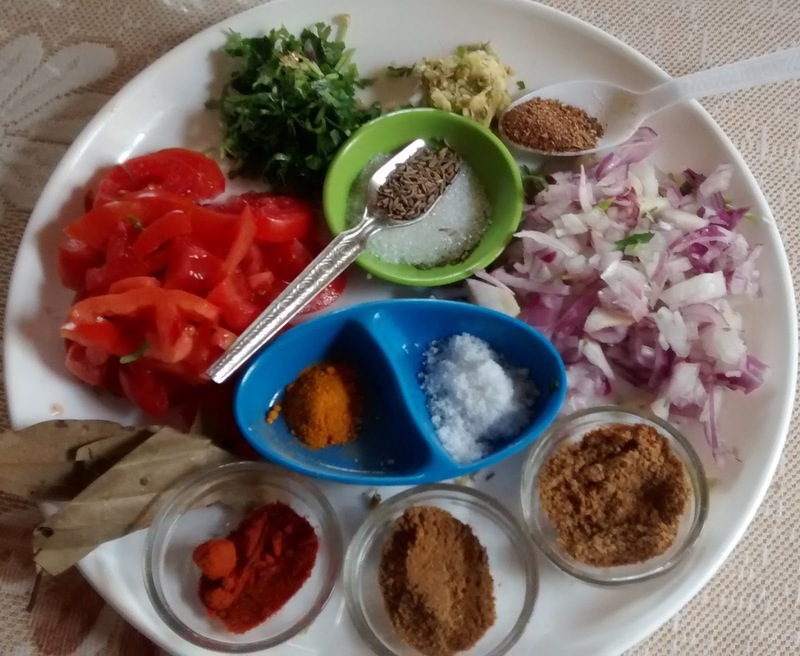 This preparation goes very well with rice ,chapati or even parathas. 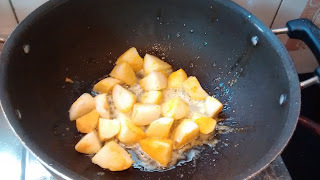 Note-The quantity of water should be enough for a thick gravy ,keeping in mind that the potatoes and the eggs both soak in a lot of gravy once cooked.